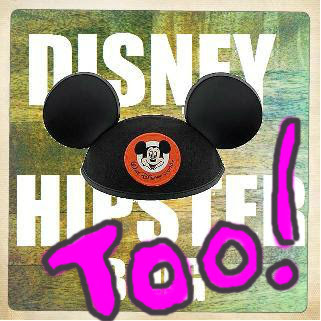 Disney Hipster Blog: We're Leaving For WDW, But What About YOU??!! We're Leaving For WDW, But What About YOU??!! We've spent a lot of time prepping for Disney World. We're staying at our favorite resort, Animal Kingdom Lodge, we have dining reservations every day, we even have a printed schedule of our daily tentative plans. One thing we haven't planned? STUFF FOR THIS BLOG!!!! Yes, despite our rampant OCD we haven't taken a moment to reflect on the fact that we wont be returning to Disney World until October...and we have a loooooong Summer between then and now. (and all the blog posts that go with that long Summer...) This is where you come in! If there is anything that you've been curious about at Walt Disney World, let us know! Even if its something you would like our opinion on, we would be happy to take pictures and investigate! Though the best way to get in touch is via Twitter or via Facebook, you could also just leave a comment on this blog post and we will be sure to get it. Think of this as a fun scavenger hunt for us...all while providing future content for the blog. Such a great idea! Have a "magical" time as they say. I hate to give you a job cuz I sure wouldn't do it... and you guys have the eye.... So... Por favor mantengase alejado de las puertas! Oh there is the one thing. Frank and I are convinced there is a distinct Disney smell as soon as you drive onto property or at least when enter the resort property. Leave the car windows open and see. We call it the "Disney-Buzz-Buzz" smell. We may be crazy. We do live in Glen Ridge and when we heard from others in the area about you. It was, See... See! We are not the only Disney Fans who appreciate the history/design/details aspects of the Parks. Someone told Frank, "Have you checked out the Disney Hipsters? ", who/wha?... we were so happy. You guys have elevated something we are crazy about into an Art form.